namhanman a The Korea Blogon! 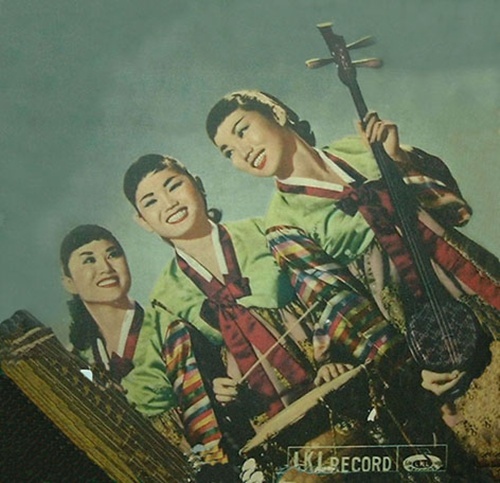 Have you heard about the Kim Sisters, the Korean trio that became a national phenomenon in the US? They started singing for American GIs in the midst of the Korean War and were discovered in 1958 by an American agent who booked them for a four-week engagement at the Thunderbird Hotel in Las Vegas. They had to wait only one year for the real breakthrough: Mia, Sook-ja and Ae-ja Kim were invited by none other than Ed Sullivan to perform on his famous variety show. 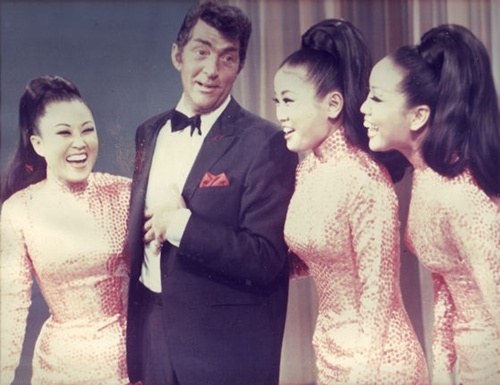 Over the years, the Kim Sisters would appear on The Ed Sullivan Show a total of 22 times, a record number that remains unmatched. As all three of the sisters got married in the mid 70s, the group inevitably began to fall apart. 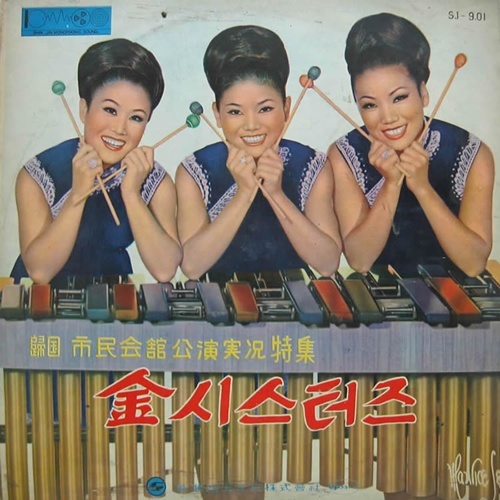 But here comes our Korean-Hungarian connection: Mia Kim (she is the first from the left in the picture above) married a prominent Hungarian percussionist, Tommy Vig who performed with such great artists like Frank Sinatra, Sammy Davis Jr., Miles Davis and Diana Ross. After living 50 years in the US, they moved to Hungary permanently in 2006. This Wednesday (18 May) Tommy Vig and Mia Kim will perform at the Gödör Club in Budapest. If you happen to be in our capital, I cannot recommend a better evening program than this free concert starting from 9 pm. Magyar részről Gianni rendkívül alapos Otakusoundos írását ajánlanám a figyelmetekbe.